While my baby is in getting her new paint job I decided to strip the interior beforehand. Re-dyed the carpet, floor mats, seats and any other fabric covered part in the car. I think it turned out great..dark black. All the other items look amazing too. Ill add pics once I put it back in the car. Did u use the duplicolor fabric/interior dye? nope used just regular clothing dye. soaked everything rubbed it in then let it set for 3 days. once it dried i went back and rinsed everything till the water was clear. Being clothing dye it should be the real deal. Looks great, as black as it should be. This stuff that she used seams to be good. I tried that Duplicolor rattle can interior/fabric dye to try to dye the tan carpet to black in my Neon. It looked good for about a week but it was stiff and started to rub away. I eventually just replaced the carpet when i completely overhauled the interior. Yes, you can dye tan to black. Tan is the optimal color to work with when dying. If you try to dye polyester, it will not take, but luckily, our interiors' carpet is made out of nylon, which is perfect for dying. 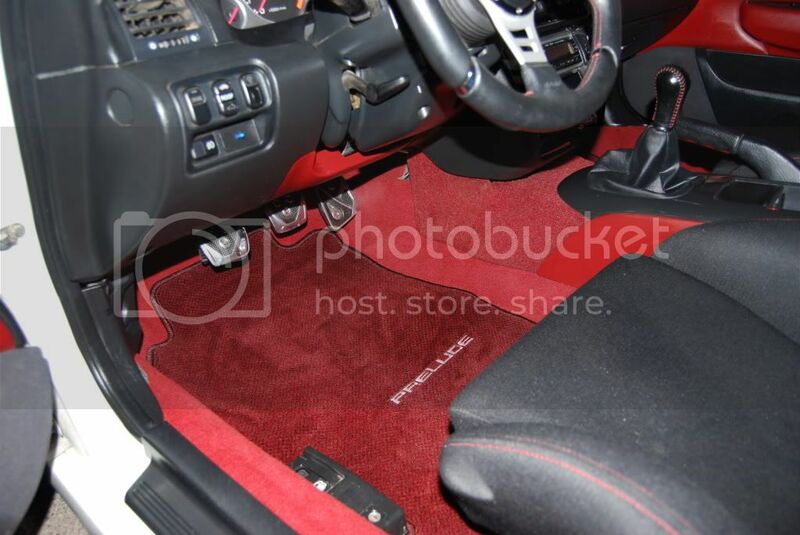 I recently had tan floormats dyed red to match my SIR interior. The stupid guy who dyed them had dyed the rear floormats to perfection, and got way too heavy on the front ones. What an idiot. You can see the pictures below. A place that does dying should only charge like $50. Shipping of course, is the headache you'll have to deal with for larger items. wowo wish i would have seen that a while ago.